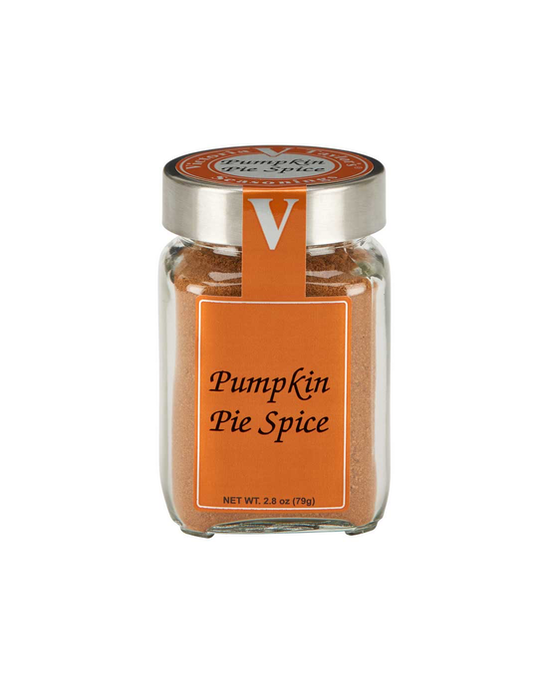 Victoria brings together the perfect blend of cinnamon, clove, ginger, nutmeg, and allspice with a hint of maple and vanilla to create the perfect blend for our Pumpkin Pie Spice. Use in your favorite pumpkin pie recipe or create unique treats such as pumpkin bread, muffins or pancakes. Victoria's Tip: Add a dash in your eggnog to create a unique and seasonal twist on a holiday favorite! Brown sugar, demerara sugar, mixed spices (cinnamon, ginger, clove, nutmeg, allspice), pumpkin powder, maple and vanilla flavor, and silicon dioxide added to prevent caking.